Competent, caring adult volunteers are essential to the Wisconsin 4-H Youth Development program. Volunteers contribute their time and talents to 4-H, and in return, 4-H has the responsibility to provide them with the positive youth development knowledge and skills they need to effectively work with youth. 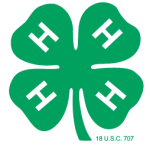 In order to support volunteers in their work of ‘making the best better,’ the UW-Extension 4-H program requires that each club and group send one volunteer to the Annual Leader Training. For 2017, the Annual Leader Training is the e-Forum titled 4-H Grows Through Volunteers, hosted by the North Central Region (NCR). The NCR is a collaboration between University Extension Departments of the following states: Illinois, Indiana, Iowa, Kansas, Michigan, Minnesota, Missouri, Nebraska, North Dakota, Ohio and South Dakota. Visit the Wisconsin e-Forum page. Another additional training opportunity is Fall Forum. Fall Forum is an annual interactive and engaging weekend training held at the Green Lake Conference Center in Green Lake, WI. It is open to all 4-H youth and adult volunteers.